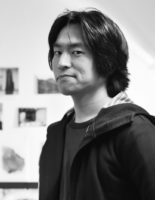 Tomoki Kitazumi studied Ancient Orientalistics at Freie Universität Berlin. Currently he works on his dissertation in the Topoi research group (C-1) Deixis and Frames of Reference: Strategies of Perspectivation in Language, Text, and Image and in the PhD program “Ancient Languages and Texts” (ALT) at the Berlin Graduate School of Ancient Studies (BerGSAS). His thesis investigates the translation practices of the hittites and especially their aspirations concerning intercultural transfers and aims to contribute to the present discussion of the multilingual transmission of the hittite realm.